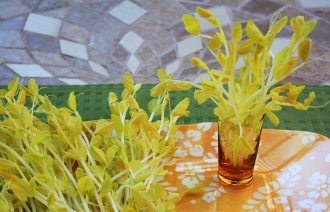 Tender, golden colored pea shoots. Tasty pea flavor, great for adding height. Versatile addition to your plating.